Let’s talk about fat. For quite some time, especially here in the USA, fat got a bad reputation and countless companies began producing “low fat” or “fat free” foods. This is when the addition of sugars, artificial flavoring, and preservatives increased tremendously – resulting in a lot of crappy food disguised as “healthy”. What many people seemed to ignore at this point was the benefits of fat, and that only the wrong types of fat have negative consequences. Including plenty of fat in your diet is OK – there’s actually no more dietary fat consumption cap as of 2015. Once the myth of fat being bad for you was debunked by research, the USDA changed their stance and recommendations. The new guidelines now make it clear as to what fats we should limit or avoid: Trans fats and saturated fats. These can be found in highly processed oils and meats, dairy products, fried food, and desserts containing butter, shortening or margarine. So, what fatty-foods should we be eating? These all contain a variety of fatty acids – Omega 3, 6 and 9s, which are the types we want to have when consuming fats. 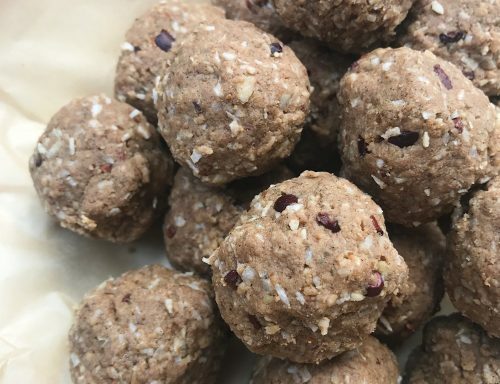 These balls are an easy and delicious way to up your intake of this super macronutrient. 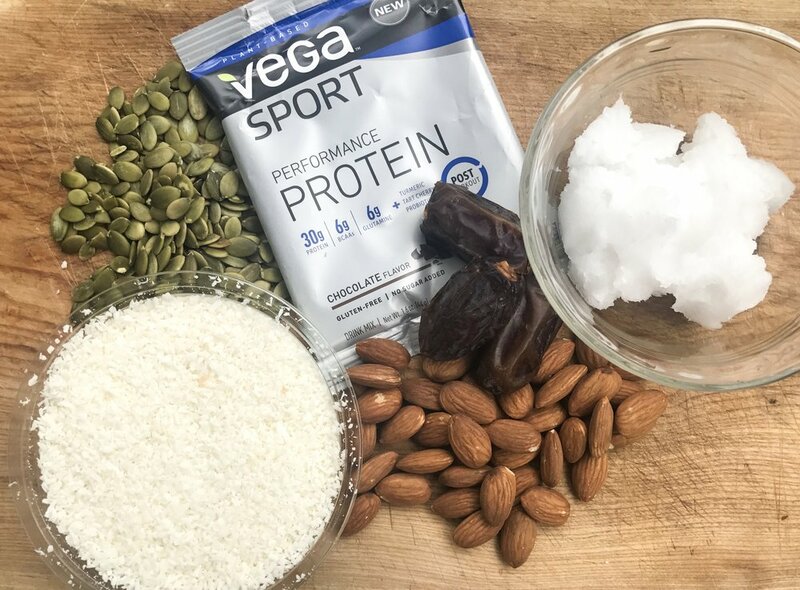 Feel free to change the types of nuts/seeds, leave out the protein powder if desired, or replace the sweetener with 1-2 tbsp of maple syrup or honey if dates just aren’t your thing. Enjoy! Combine everything in a food processor or blender until dough-like consistency is reached. If you have a small blender I suggest doing this in stages: start with the dates, coconut oil, butter and milk, then add the nuts/seeds and coconut shreds, then finish by adding the powder, spices and cacao nibs. 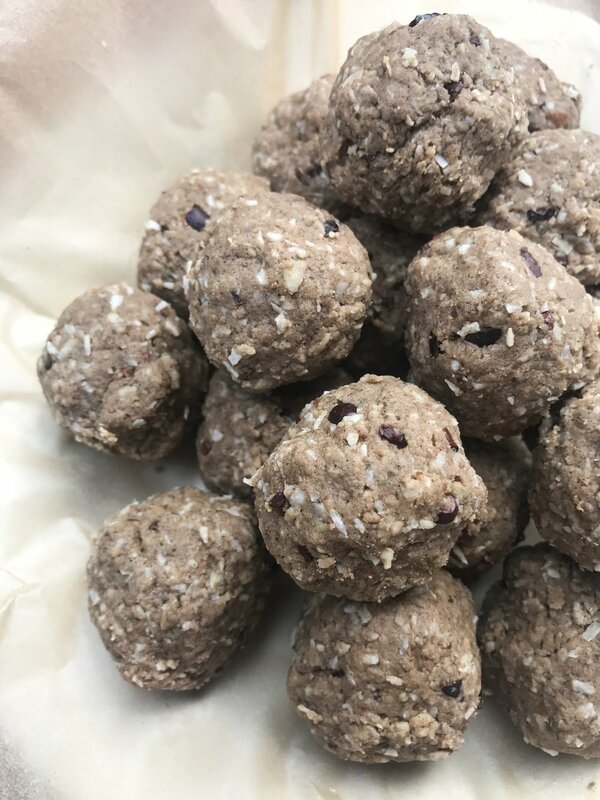 Roll dough into bite-size balls, and then place in freezer inside an airtight container. Before eating let balls thaw for 5-10 mins. If kept in the freezer they’ll last for 2-4 months.